Had a trip up to the Malvern Hills today, left at 5:15, arrived at 7:45 and the boys got straight into it. Stripped off my temporary roof skin and by 8:15 they’d cut the hole and were ready to fit the frame. 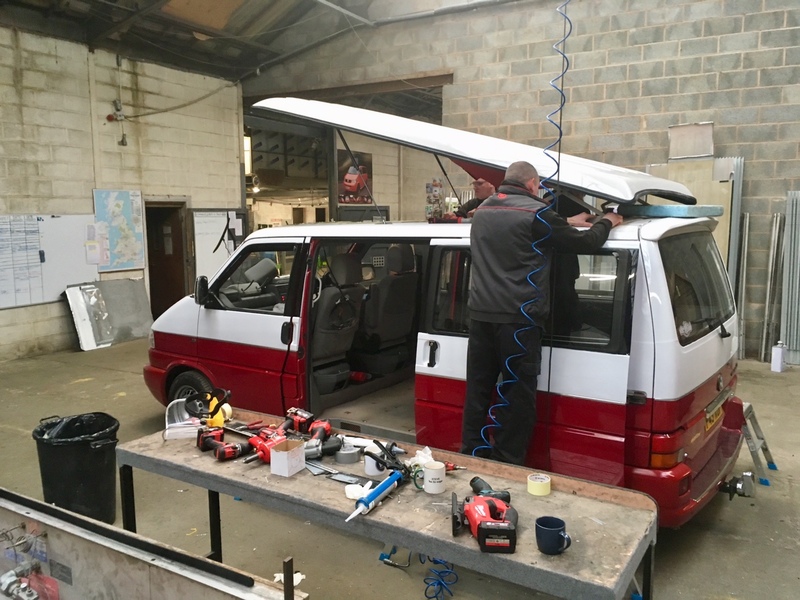 Despite a few issues caused by the Caravelle wiring loom, and window trim, and the van previously having a sunroof, all fitted and watertight by 11:30. Drive home in peace and quiet, and dry, some overall weight added but no probs as I’ve already beefed up suspension and wheels/tyres. I opted to trim out myself so bought extra carpet to match it all up. 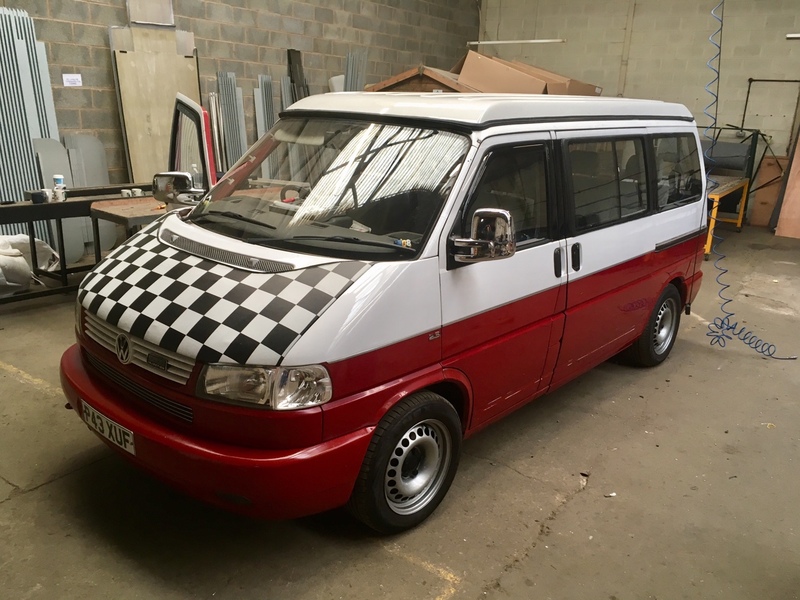 After trawling Busfest looking at pop tops I’m very, very happy with my choice and value for money. 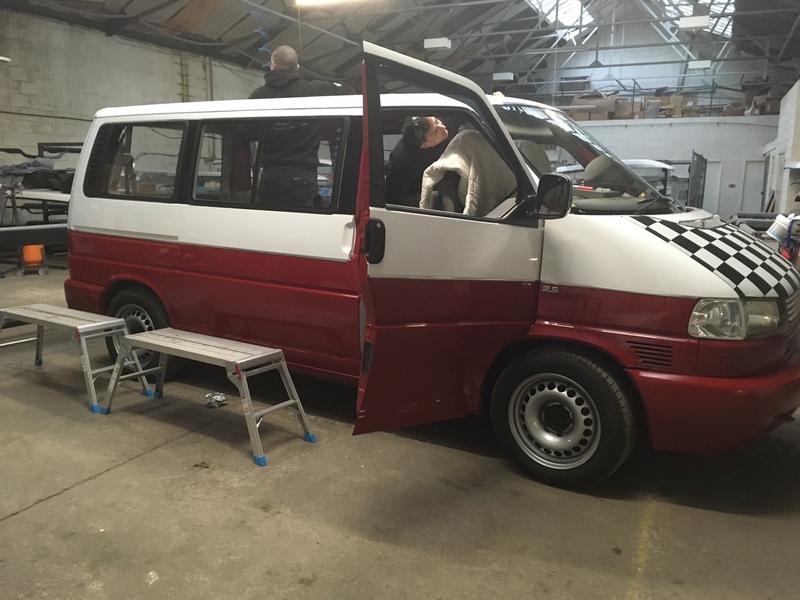 The red is complementary to my paprika red base and the white is close enough to the vinyl wrap. Big thanks to Chris, Stew, Andy, Steve and Barry and a young lady whose name I didn’t catch, for letting me muck in, accommodating my previous bodges, loads of cups of tea and a great feeling of money well spent. Last edited by Mickandsej; 15th January 2019 at 07:20 PM. 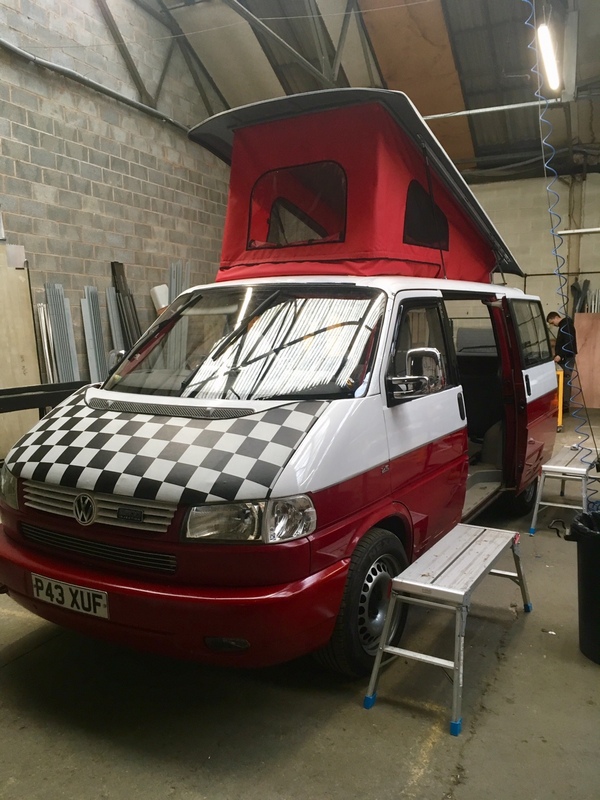 Had mine done a year or two ago now and it's been perfect, one of the best things I did to the van and it's great value for money from the boys at Westdubs! Thanks for this , looks great and OEM with those scissored hinges. 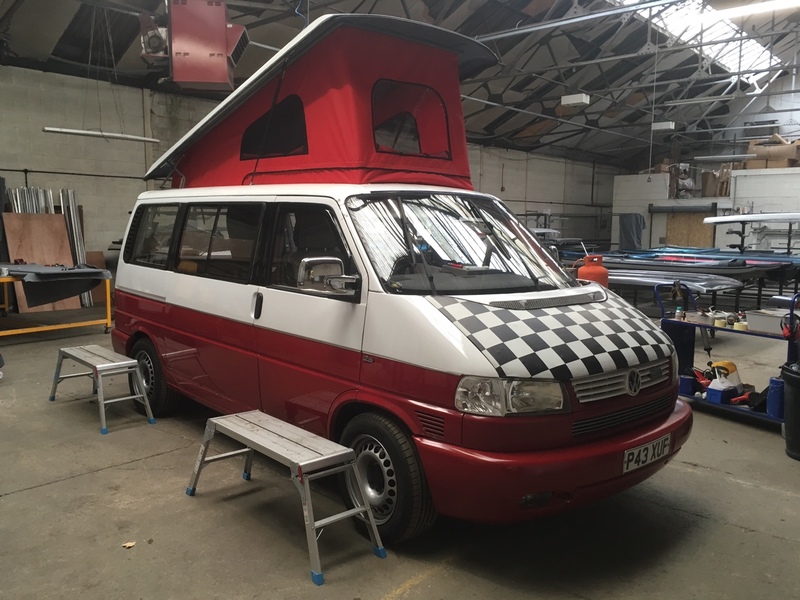 Whats the roof panel depth / added roof height?Where does the front edge finish and seal to. Sorry on my phone so screen size limited! Overall height roughly 1.95/2.0m, there’s a 25mm spoiler strip at the top of the windscreen. Pretty neat fit all round and at the rear. Ribs on roof look smart but also easy to bond solar panel to later on, though I like the clean look! Inside is smooth grey carpet, much better than the nylon pile stuff I saw all over Busfest. Nice to see and hear a job well done by a professional company. Hope that get more work from it.